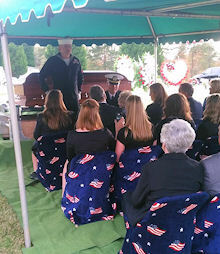 This page was posted on November 10, 2014 in honor of Howard R. Doble, Jr who served aboard the U.S.S. 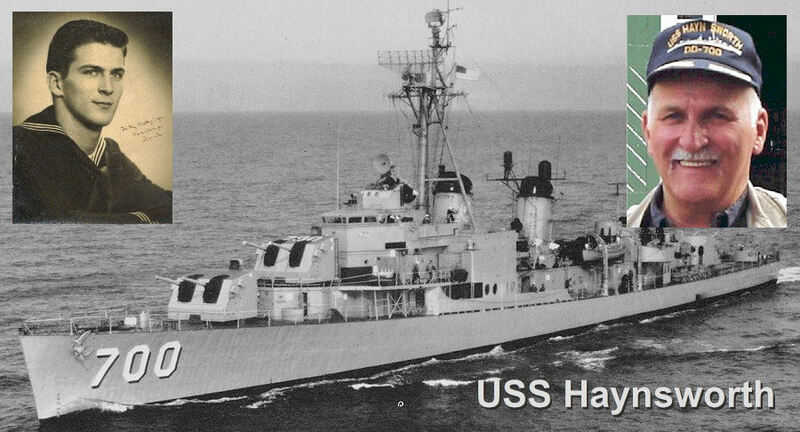 Haynsworth from 1950-1952. 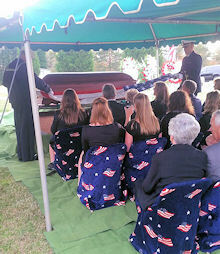 He was a loving husband and wonderful father to four children (of which I am one...). Dad passed away on November 1st, 2014 exactly one year from when he was diagnosed with small cell cancer. I cannot put into words how brave and positive he was even on the day that he went to be with our Lord and Savior, Jesus Christ and our Heavenly Father God. I gave this domain name and start-up website to my dad as a Christmas present in 2000. Like everything else dad did in his life - he let it consume countless hours of his time adding volumes of pages and photos over the years. 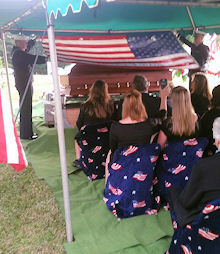 You see, other than the love that he felt for his God and Jesus Christ; other than the love he shared with his wife of 63 years, Barbara; and other than the love and devotion that he shared for his children and family as a whole - not many things would make dad's chest swell with pride like his memories of his time serving in the United States Navy. Dad always seemed to have a smile on his face, however there was a special twinkle in his eyes when the subject of the U.S.S. Haynsworth came up. I cannot even begin to estimate the MULTIPLE THOUSANDS of hours that dad put into this website in the 14 years that he kept it updated. 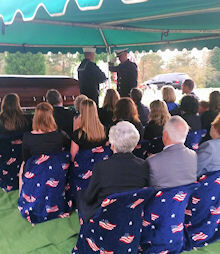 The meticulous manner in which he insured that every detail was accurate in posting photos, shipmate's time served and taps reports for those fellow sailors that had passed. 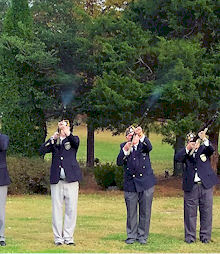 If you are one of the tens of thousands of visitors who came to this website over the last 14 years, dad is solely responsible (other than a few dozen hours that he would draft mom, myself and my sisters into assisting him) for ALL of the thousands of pages, multiple thousands of photographs and volumes of content input that went into developing and maintaining the site. Unfortunately this website will no longer be maintained and we simply honor the wonderful man, husband, father, Christian and role model that he was by posting this memorial to him. 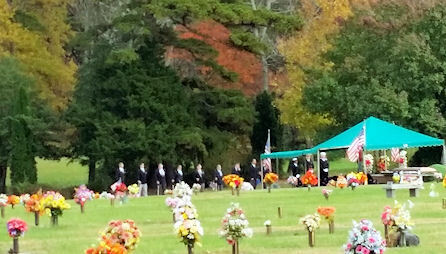 Dad was buried with military honors, complete with a 21 gun salute, flag folding and presentation. He would have been proud of that as well. 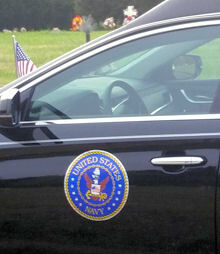 I've added a few images of the funeral below as this IS the final taps report via USSHaynsworth.com.